The Emery Theatre was built in 1911, and is considered an acoustically pure theatre. It is one of three sister buildings (along with Orchestra Halls in Chicago and Detroit) to New York City’s Carnegie Hall. Cincinnati philanthropist, Mary Emery, bequeathed the entire Emery building to the city in memory of her late husband, Thomas J. Emery. 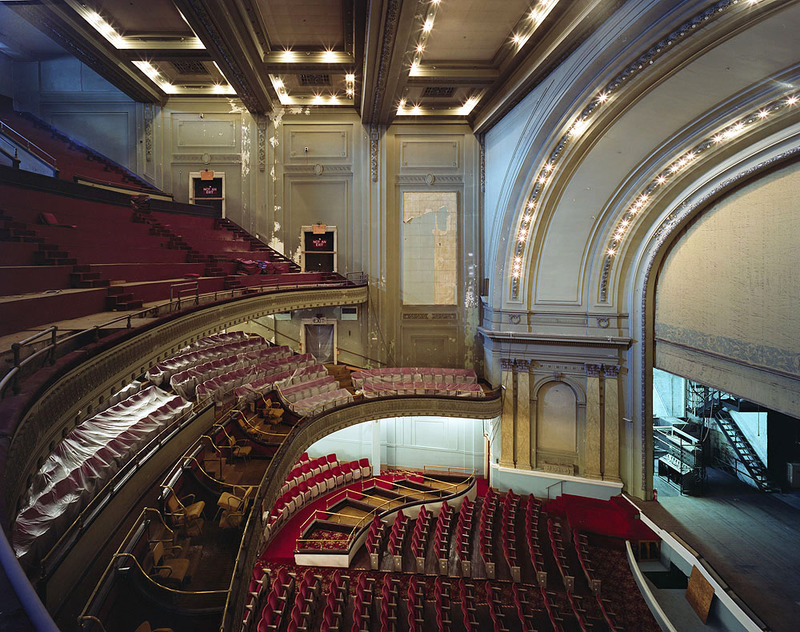 The theatre was the original performance space for the Cincinnati Symphony Orchestra and a former rehearsal studio for the Cincinnati Ballet. World-renowned performing artists have appeared on The Emery stage, including Russian ballet dancers Nijinsky and Anna Pavlova and actress Bette Davis. 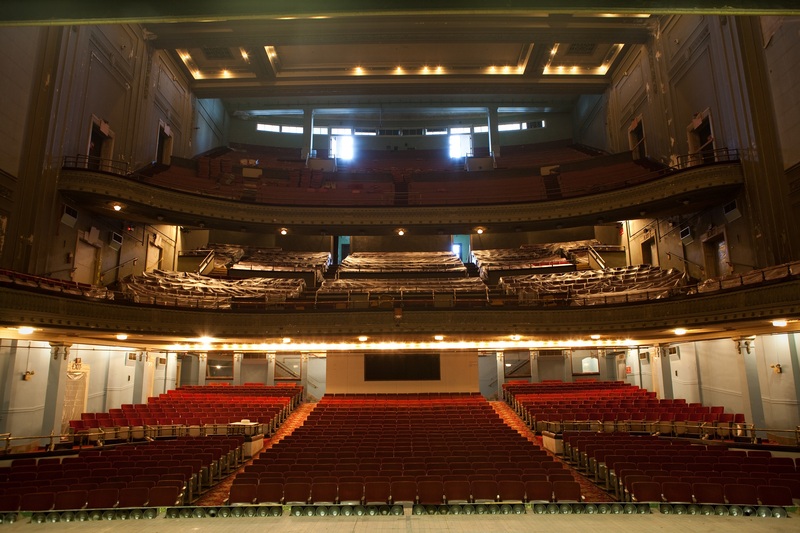 The Emery Theatre, a 100-year-old, acoustically pure performance space that can house 1,200 to 1,600 patrons, is located at the corner of Central Parkway and Walnut Street in Cincinnati’s Over-the-Rhine Historic district. The Emery is currently part of a long-term restoration initiative managed by The Requiem Project and will be renovated and restored into a unique arts and cultural venue for Greater Cincinnati. But what is The Requiem Project? The Requiem Project is a 501(c)-3 not-for-profit arts company whose mission is to re-establish an acoustically-pure historic treasure, the Emery, and transform the theatre into a vibrant, acoustically-pure, and unique venue that will define itself as a space that encourages creative growth, fosters a multitude of opportunities for artistic collaborations, and offers arts-based educational opportunities through dance, music, theatre, film, visual, and interdisciplinary artistic expressions for local and national performing artists. The Requiem Project is the brainchild of two amazingly talented women who met and became friends with in New York City: Tina Manchise and Tara Lindsey Gordon. They were working together in New York City in 2008 when Tina received a tragic and unforgettable phone call. Lynn, her mother, had suddenly passed away. Without answers – just heartbreak – Tina returned to Cincinnati to be with her family. Months later, still with unyielding sadness, they both assessed the feasibility of working in New York in the wake of Lynn’s passing. In Cincinnati, on November 11, 2008, Lynn’s birthday, they crossed paths with The Emery Theatre; “it was as if we were guided to the door,” explains Tina Manchise. One hundred years ago, philanthropist Mary Emery bequeathed The Emery Theatre, a 1,600-seat, acoustically pure symphony hall, to the city for “civic betterment.” The theatre has been dormant, without a vision for re-opening, for more than 15 years – and thus they found their mission and their calling: a Requiem Project in honor of Lynn. Similarly, Mary Emery had a love, understanding and faith that high-quality art inspires individuals and communities to invest in themselves and that inclusion and respect leads to a better society. Everyone has a voice, and The Emery, literally and metaphorically, should be a place not only to listen but also to be heard, and thus the company, The Requiem Project, was founded. Their vision is that The Emery would be a space for creative possibility and opportunity to listen to passionate voices through artistically based programming, education and community initiatives. Lynn has inspired Tina and Tara to see that a building means more than seven floors, that a theatre can be much more than a place to watch performances, and that a stage is so much more than a place to stand. They see that our community is more than the sum of our fears, and its soul depends upon our trust and belief in one another. November 11 is more than a bittersweet date – it has become a sign and symbol for their company; by serendipity or plain coincidence, they were handed their first contract for The Emery on November 11, 2009. “On that day, we decided that we would open the doors of the theatre on November 11, 2011 (11.11.11), and that the band Over the Rhine would play – we just put that statement into the universe, and our net has come back teeming,” an excited Tina explains. On November 11, 2011, the doors of The Emery open, Over the Rhine will play, and more than 10 Cincinnati arts companies will join The Requiem Project in enlivening Mary Emery’s 100-year-old conviction that The Emery can be a space for art-making for the next 100 years. The Emery Theatre will open up for the public on Friday, November 11, 2011 (11.11.11) to officially kick-off a public fundraising campaign at a concert event featuring internationally acclaimed, Southern Ohio band, Over the Rhine. The centennial celebration of The Emery will commence on Friday – guests will begin at one of several locations in the neighborhood at 5:30 p.m. to pick up their tickets and map of the event. At 6pm, guests will be welcome to find their way to their respective locations for cocktails and food. At 7 p.m., guests will be invited to explore The Emery and at 8 p.m., the Over the Rhine and local arts showcase concert will begin. Showcase partners include concert:nova, Exhale Dance Tribe, MadCap Puppet Theatre, among others. The evening will continue to an After Party hosted by local theatre and Requiem Project partner, The Know Theatre, and local bar and restaurant, Below Zero (located adjacent to The Emery). On Saturday, they will have a press event (managed by our public relations team, Strata-G Communications) with a lecture, presentation, and discussion of the architectural renderings hosted by Requiem Project Artistic Directors with the architectural team selected to revitalize the theatre – acclaimed Cincinnati architect John Senhauser and the nationally-renowned architectural firm Westlake, Reed, and Leskosky. After this Saturday presentation, Madcap Puppet Theatre will perform on stage, the Cincinnati Zoo will visit with their Wildlife Comes to You Program, and Chipotle will sponsor lunch for attendees. Saturday evening, they plan to host a movie event; on Sunday, the Cincinnati Children’s Choir plans to perform. If you would like more information about the amazing work being done at The Emery, visit www.emerytheatre.com. We have numerous volunteer opportunities coming up, including a clean-up event on October 29, 2011. For more information, and to sign up, go to www.emerytheatre.com/volunteers.php or email your contact information to volunteers@emerytheatre.com. Finally, for event information and to buy tickets to our 11.11.11 Event, go to www.emerytheatre.com/eventdetails.php. I am just thrilled to learn of the refurbishing and rennovation of one of my favorite buildings in Cincinnati, the Emery Theater. I have not been inside since the 1970s, when the old RKO Albee theater organ provided music for classic and silent films. Hats off to the Requiem Project!